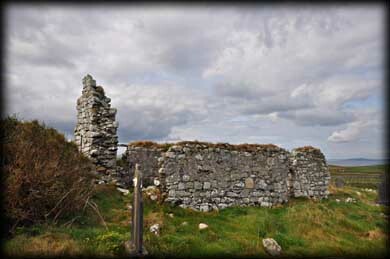 Located at the western end of the Renvyle peninsula, the medieval church at Cashleen is quite ruinous. The western wall has completely collapsed and the roof is missing but it still exudes a wonderful sense of history. 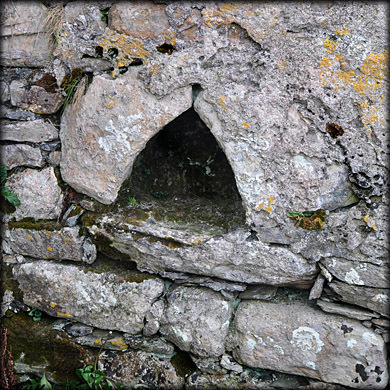 There is a broken stone altar under the single light window in the east wall and in the south wall is an ambry. Access to the church is through an arched doorway in the north wall. 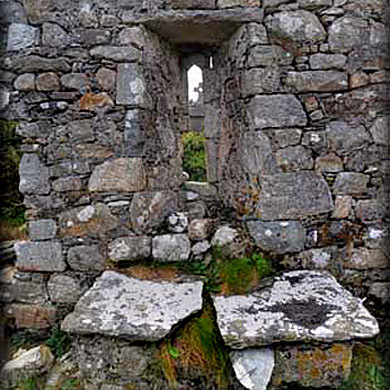 The church (Teampaill na Seacht nInion) is believed to have been built by a Leinster King or an Omey Island chief in thanks for cures his daughters received from the nearby holy well. These seven sisters are said to have preached along the Connemara coast. 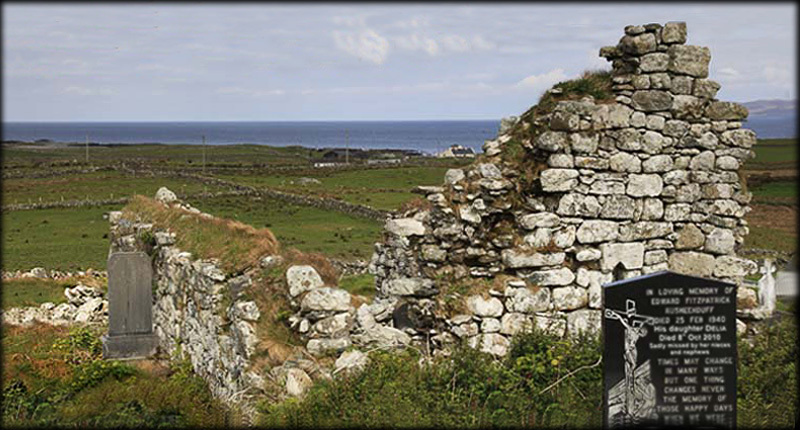 There is another church on Inisheer (Inis Oírr), the smallest of the Aran Islands, dedicated to the seven sisters. The well is located at the bottom of the track to the north of the church. Situated: From Renvyle travel southwest to Tullycross. Turn right heading west on the Connemara Loop. At Renvyle Castle the road takes a sharp left. Take the next right up to the graveyard.